The work is to be funded by the JISC, and builds on the sterling work to date by the eXchanging Course Related Information (also known as XCRI) initiative, the new UK eProspectus standard. In short it is a way of describing learning content and information and saving the rekeying of this information into numerous systems. But it will only be proven truly successful when it achieves a wider roll out, which the JISC have acknowledged and agreed to back in this new call. In light of this, my CETIS colleague David Sherlock and I took a look at XCRI and offer the following introduction to the area. Who is it for? 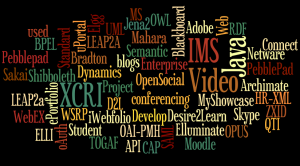 – Learning Providers- that is any College or University that has courses and wants to share information about them. Other organisations have also found it useful. What it is not – An off-the-shelf software package. There is investment in implementation, but it returns much added value. XCRI is a standard for course advertising data. The term stands for eXchanging Course Related Information. 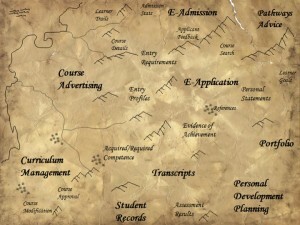 It is a specification designed for Universities and Colleges that allows the various generic aspects of a course description (i.e those that are used in the curriculum documentation and for marketing purposes) to be made publicly available so they can be transferred easily between information systems. The starting point for use has been a subset of this information, the XCRI-CAP (Course Advertising Profile) which is a simple list of fields. 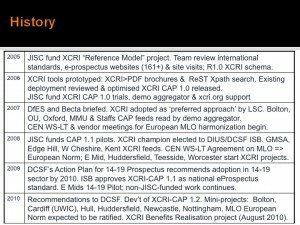 XCRI is an open process; with community-driven input that is supported by the Joint Information Systems Committee of the UK Higher and Further Education funding councils to ensure its future development. 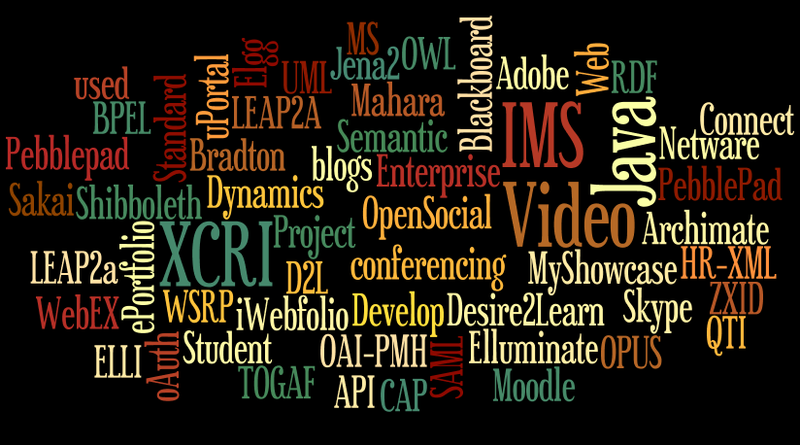 If a college, university or training provider has courses and wants to let people know about them then XCRI can help. Once course data is available in XCRI format then aggregation systems can easily collate the information, which can then be used to share course related information between systems in organisations with other sources. Potential students can then use this information to select courses. Many people, who hear the term often perceive it to be a vastly complex, costly, time consuming effort to implement. However, those that have undertaken some XCRI work have been surprised how quick and easy it was and how it has opened up much of their information, reducing duplication and bottlenecks in workflows and processes. 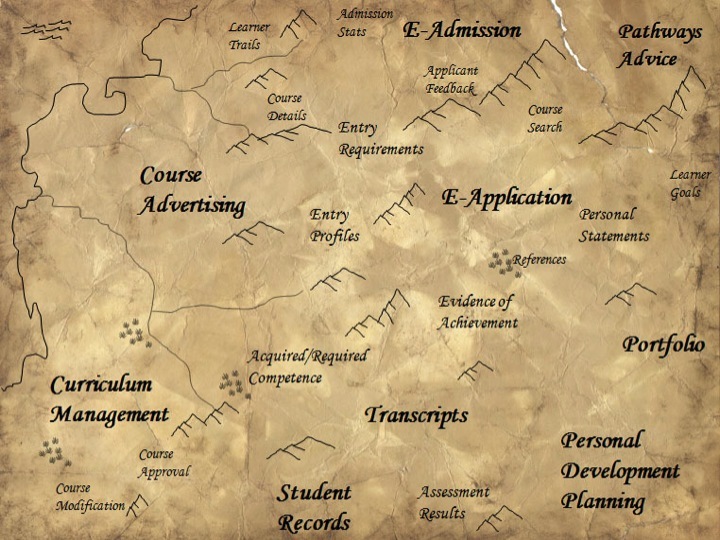 There are potential internal benefits and business process improvements to be made throughout an organisation by using a single standardised format for course advertising data. 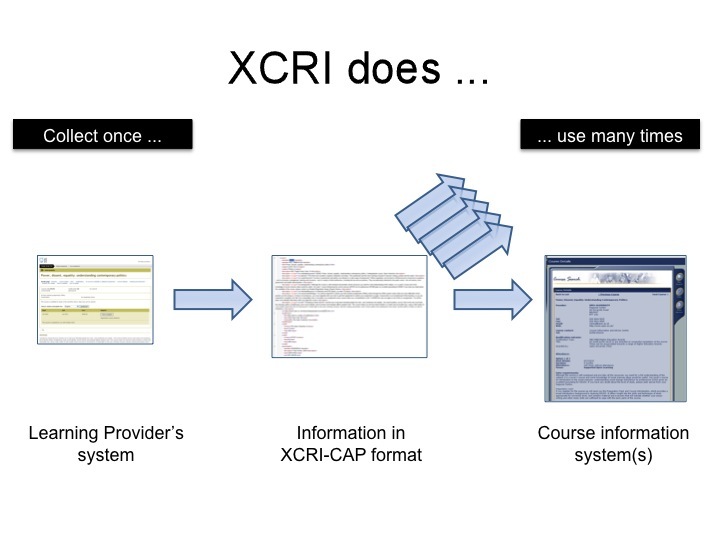 XCRI will help with improved quality assurance and consistent information, XCRI can interface with internal approaches for course approval and validation and there will be less data input and margin for error for both the Learning Provider and aggregating systems. By using this standard approach, learning providers are making sure that their course profile is consistent with other learning providers. This information can be then be included in a wider range of course information sources that aggregate it and learners will be able to use these to make informed decisions about which courses suits their needs. There is current ongoing work entitled Metadata for Learning Opportunities (MLO) with an aim to unify XCRI and European equivalent approaches. The MLO will be very similar and almost retrospectively fit with the XCRI approach. This means that there should be little duplication of effort and any work implementing XCRI now and the oranisation will be at the Learning Provider will be at the forefront of current developments. 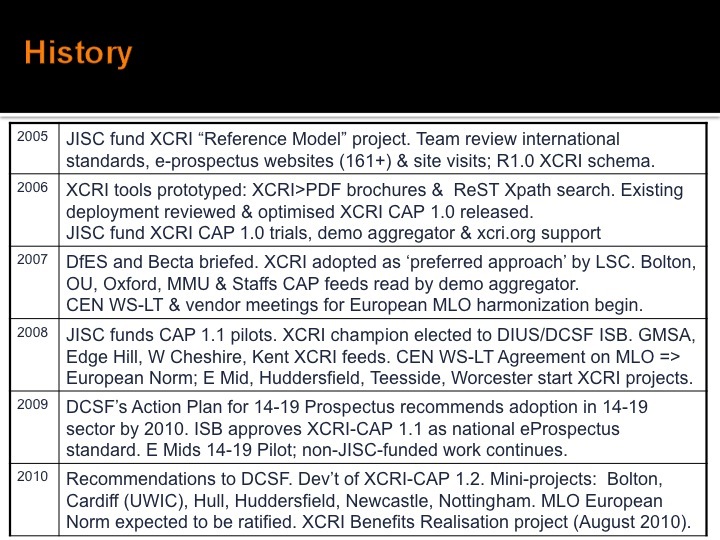 It is important to emphasise the open nature of development, the XCRI community want to build from the basic XCRI CAP profile to include more information to allow sharing of more course related information. Contributions to this work (even from outwith the funded projects) are also welcome, as a broad range of input is beneficial. 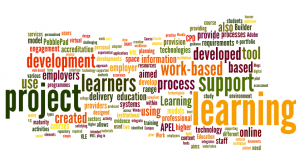 The new JISC call addresses key areas of work identified by the community and potential users; the deadline for receipt of Letters of Commitment in response to this call is 12:00 noon UK time on Wednesday 7 September 2011. 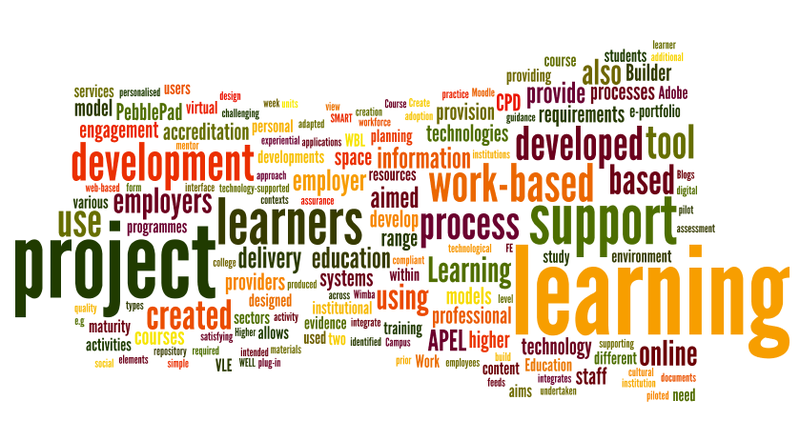 There will be a briefing event for further information on Tuesday 19th July, see the JISC Page for further information. The briefing paper is very thorough and references a vast amount of work that has already been done. It is by no means a new area starting from scratch, although it has been discussed with many different terms, including IT literacy, social inclusion etc. It looks like a really interesting area of work and one that could genuinely shape the future of education provision and the impact that this has upon the wider society. If we get this right, we may even crack the ‘digital divide’, but it has to be approached carefully and with empathy and caution; some do have a genuine dislike/fear/apathy/distrust/lack of desire to be ‘upskilled’ in IT capabilities, and to wade in with a big stick will not help that. It needs to be understood and recognised. That said, I am not suggesting a ‘pandering to luddites’ approach, and those less keen need to be persuaded of the benefits of the wonderful world of technology. It should be a really interesting programme and best of luck to those that work on it, I look forward to seeing how it progresses. I’ve just left the JISC Curriculum Design and Delivery Programme meeting, a 2 day event held in sunny Manchester. Several people may post about the overall meeting, but I thought I’d post some of my thoughts about some of the issues I found interesting amongst the wealth of knowledge and ideas that were discussed, and to focus on one session in particular. Today (Day 2) kicked off with a stimulating presentation: “Rethinking the Curriculum for Interesting Times” by Keri Facer, Professor of Education, Manchester Metropolitan University. Professor Facer is not directly involved in the Programmes, but was invited to discuss current issues and trends which may impact on the concerns focussed upon within the programmes. This session included a recent history and overview of children’s technology use and expectations, and how technology has become commonplace in all aspects of life. Prof Facer then went on to challenge traditional perceptions of using technology in education and discussed the informal and formal aspects and blurring of these boundaries. One statement that perhaps resonated with many working in this area was the statement that there is often a missing notion of pedagogy in the introduction of technology in an educational setting– and gave an example of when those in a school were asked why they had bought several hundred mobile devices for students, the reply was “we just think it will be good.”! Prof Facer pointed to the hugely complex education environment in which children are growing up, making the transition through various strategies and modes of delivery. Not many people are aware of aims of the country’s national curriculum or it’s key aims (which include nurturing responsible citizens, who are confident and effective learners). Also, with the role of parents and their input into education and supporting their children, she argued that we need to think about big picture; micro managing doesn’t work. Prof Facer gave a whirlwind tour of the technological developments and some nuggets gleamed from her research about the pervasiveness of technology in the home and the differences in expectations and skills from the younger generation. She noted that there are now 2 almost wholly online schools in the UK, stating that ‘distance matters less, geography still counts’ and we need to be focussed much more on the individual rather than the institution. I found of interest the statement that the “ability to think long term is correlated with socio economic status” – positing that the traditional model of careers guidance often doesn’t work and there is a need for effective mentoring that is lifelong and supports learners through various transitions. Another stance that was novel was the idea of “Managing diversity as a resource rather than a problem” and I think the approaches to this will hopefully be refreshing and fascinating to see to say the least. Prof Facer argues that this is going to be critical; “Personalisation has huge drawback in that it allows you to exist in the world you already had, the encounter with new people can take you to new places” which may be tangential to statements about personalisation in the past. The new horizons should indeed be an exciting and engaging experience, and merely replicating the traditional models does not do justice to the potentials afforded by both the new technologies and any potential new pedagogies. The presentation explored a number of approaches and ideas for the future of education, warning that We should think about what the ‘do nothing’ option would lead to. This includes the importance of critical thinking; perhaps school could be more about conformance and university more about higher thinking. We need to support thinking about issues and situations rather than content delivery. Non traditional learners may be a massive growth area; Prof Facer argued that there is a social justice in looking an non traditional university students rather than focussing on an elite few. She stated that education needs to rediscover the dialogue with which the community learning is focussed on, many lessons can be learned from such approaches. One thought I had never heard articulated in such a context was that our model of adult-child relations is in question, that the current one has only been around since end of 18 century. In the last few years, this has been turned on its head. The traditional notion is that adults teach the younger generation and this focus has perhaps shifted and adults are not the knowledge source or mentor that they traditionally were, nor are children the ones with less knowledge – indeed, in terms of technology use and familiarity, they are often bounds ahead. It was a session that I think certainly got people thinking (and as one person put it later ‘burst a few bubbles’) and was an excellent and inspiring start to the day, with participants ready to tackle some of the challenges Professor Facer posed. Indeed, it could be argued that no action is not an option. Professor Facer’s presentation was video-ed so will no doubt be online shortly.